Third-gen Wagon R rear three-quarters teased in official image of a blue colour option. Floating roof design visible with rear-windscreen wiper and washer. Bigger, lighter Wagon R to be priced similarly as outgoing model, between Rs 4 lakh to Rs 6 lakh. The third-gen Maruti Suzuki Wagon R hatchback will be launching on 23 January. While we have seen the car inside and out in various spy shots over the last couple of weeks, this is the first official glimpse from the manufacturer itself. 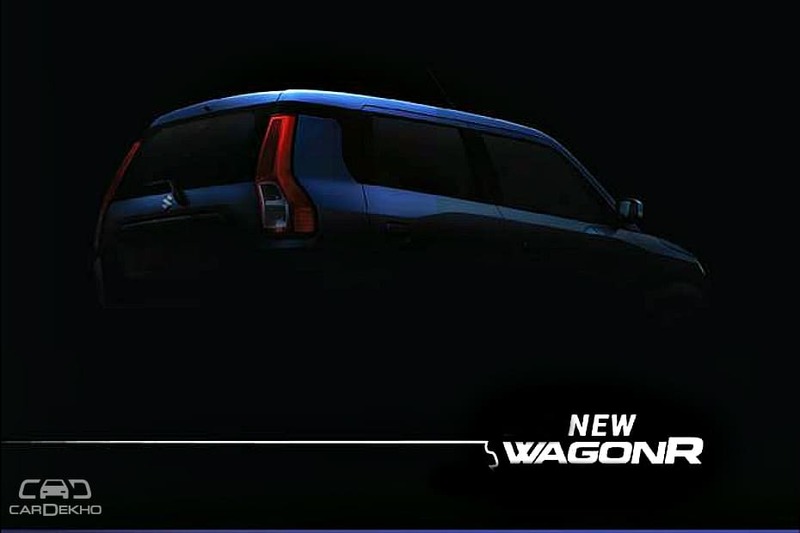 In the teaser image, we can see the rear three-quarters of the tallboy hatchback in a shade of blue. A new tail lamp design is visible that flanks the rear windscreen and goes all the way up the C-pillar. The taillamps start at the same height as the number plate plinth. It appears to be the new ZXI top variant as it has a rear screen wiper and washer. The B- and C-pillars are blacked out for the floating roof design. We already know the upcoming Wagon R will be offered in a total of three variants: L, V and the new Z. It has grown from every proportion and yet it is lighter than the outgoing model. You can read the full details that we already know about the dimensions of the 2019 Maruti Wagon R (as well as the engine options, which now includes a 1.2-litre petrol motor apart from the existing 1.0-litre engine) here. The outgoing Wagon R’s prices start from Rs 4.15 lakh and go up to Rs 5.39 lakh (ex-showroom, Delhi), and we expect the new one to be similarly priced. However, the new, bigger engine variants will likely be more expensive. Once launched, the Wagon R will resume its rivalry with the relaunched Hyundai Santro, the facelifted Datsun GO and the Tata Tiago, which is also expected to get a facelift in 2019.